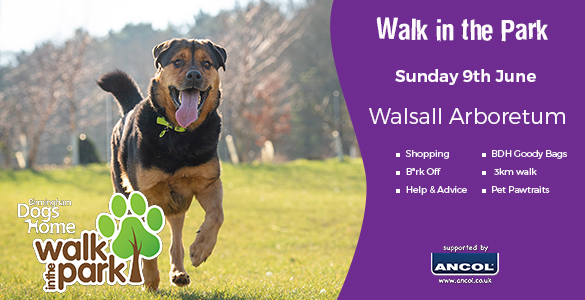 Come and join us for our morning event at Walsall Arboretum and take part in our sponsored walk around the 3km picturesque route with like-minded dog lovers. Walks take place from 9:30am in scheduled time slots and help to raise much needed funds and awareness for our homeless dogs. 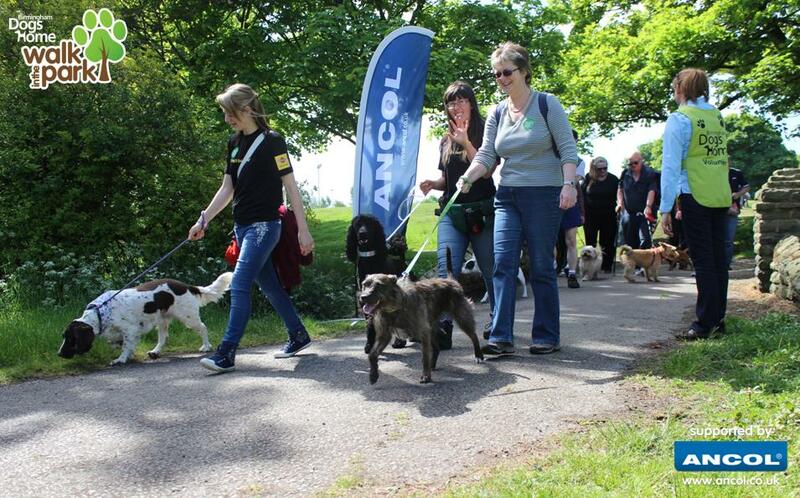 Celebrating our 5th event at the beautiful park, which is kindly sponsored by Ancol Pet Products, we hope to see many dogs and their owners enjoying the day with us. There will be lots to see and do on the day including our Fundraising Trailer, Tombola, Sweet stall, stalls, pet portraits, BBQ and refreshments, Cafe2U Solihull, and you even get a FREE dog bandana and roll of poo bags on arrival and a FREE shopping bag once you finish your walk. A great family event which sees dogs of all shapes and sizes taking part – we can’t wait to see you again! The Birmingham Dogs Home stalls will be open from 9am so you can grab yourself a hot sandwich from our delicious BBQ before you set off, but hurry, as they go quickly!! You'll also be able to grab a delicious hot drink from the award winning Cafe2U Solihull drinks van before or after your walk. The walks are staggered and leave at 09.30, 10.00, 10.30 & 11.00, however the stalls and food will start from 09.00am and finish at 1.30pm. Please arrive early to enable plenty of time to park in the car parks available and sign in at the entry table on arrival.